Helen Frankenthaler, the lyrically abstract painter whose technique of staining pigment into raw canvas helped shape an influential art movement in the mid-20th century and who became one of the most admired artists of her generation, died on Tuesday at her home in Darien, Conn. Her first major museum show, a retrospective of her 1950s work with a catalog by the critic and poet Frank O’Hara, a curator at the Museum of Modern Art, was at the Jewish Museum in 1960. But she became better known to the art-going public after a major retrospective organized by the Whitney Museum of American Art in 1969. 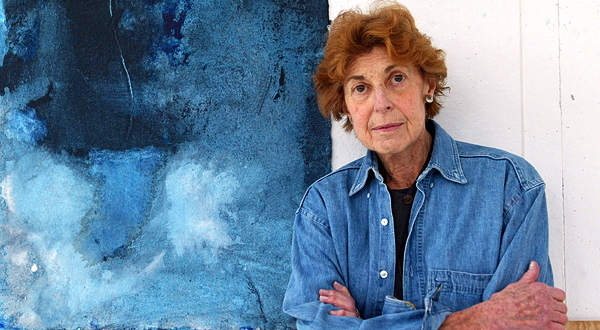 Helen Frankenthaler, the pioneering American abstractionist, whose preferred technique of staining thinned paints into unprimed canvas became the hallmark of Color Field painting, died today at her home in Darien, Conn. She was 83. Born to wealthy New Yorkers, Frankenthaler attended high school at New York’s Dalton School (1945) and college at Bennington in Vermont, studying with Paul Feeley and graduating in 1949. In 1950 she met Clement Greenberg, and a five-year-long relationship with the influential New York critic ensued. Equally significant for the young artist was her friendship with the New York School poet and curator Frank O’Hara, whom she met in 1951 and remained close to until his death in 1966. 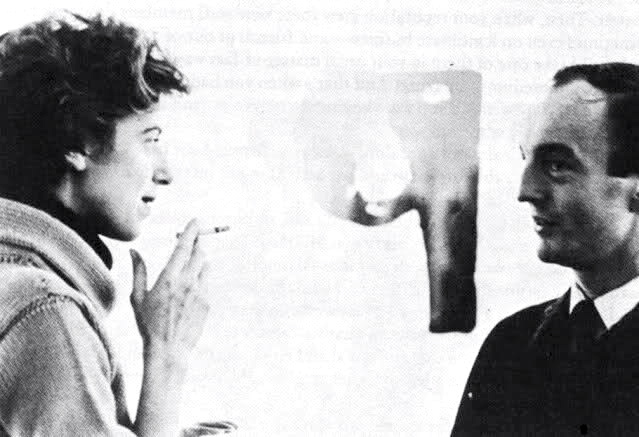 Frankenthaler and O’Hara were among the brilliant artists and poets associated with Tibor de Nagy Gallery, directed in the 1950s by John Bernard Myers; she had her first solo show there in 1951. She was friends with all the major Abstract Expressionist painters, and in 1958 married Robert Motherwell. They divorced in 1971. This entry was posted on December 29, 2011 at 8:57 am and is filed under Art/lit/music/film, Death notices. You can follow any responses to this entry through the RSS 2.0 feed. You can leave a response, or trackback from your own site.